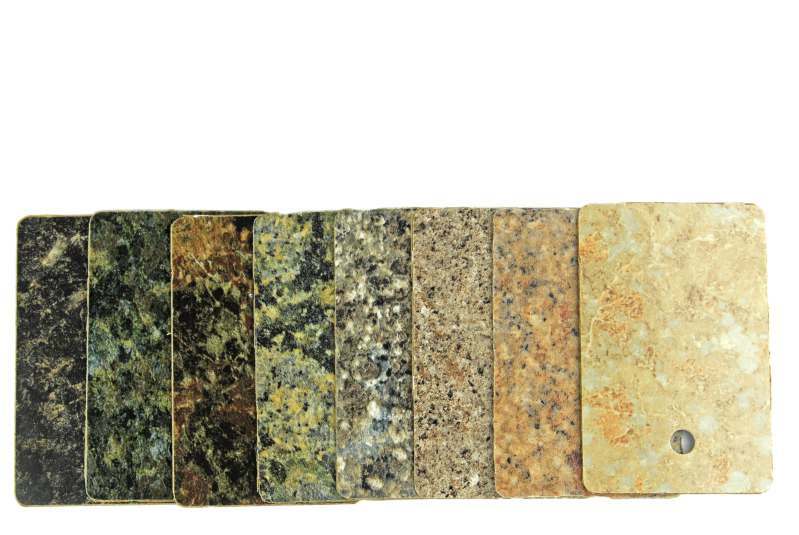 What’s the best stone for making kitchen worktops? Marble, granite or quartz? As expert stone workers, at Surrey Marble and Granite we often get asked for advice. 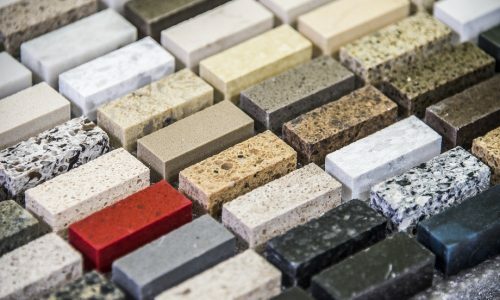 One of the most common questions we hear is ‘what’s the best stone for a kitchen counter?’ The answer is, of course, it depends – and we can help you find the best stone for your unique kitchen. As long as your granite or marble kitchen worktop has been sealed, it will be easy to clean and stain resistant. Quartz worktops are sealed during manufacturing. 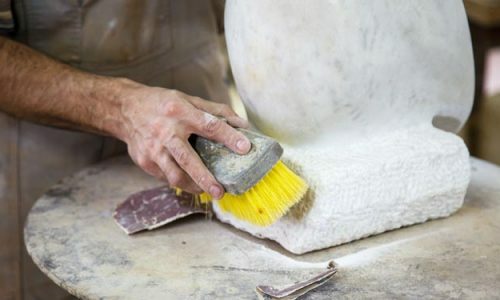 Sealing the stone makes it waterproof, so stains, dirt and bacteria can’t get into the stone. 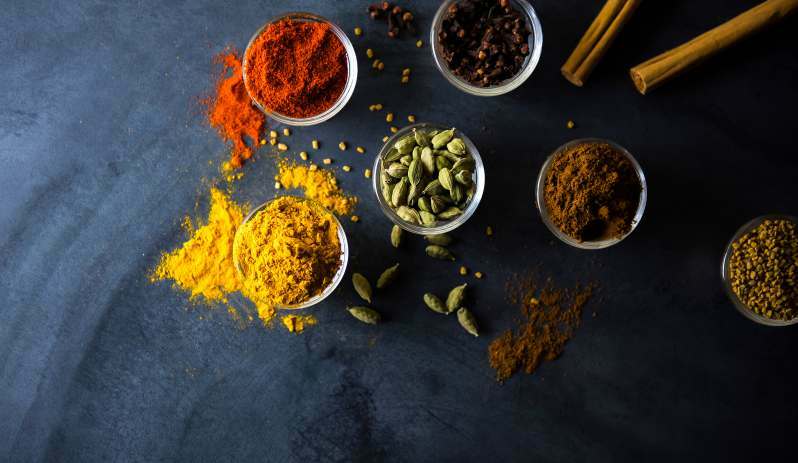 In most cases, simply wiping the worktop with a damp cloth or a mild cleaner will be all you’ll ever need to do. 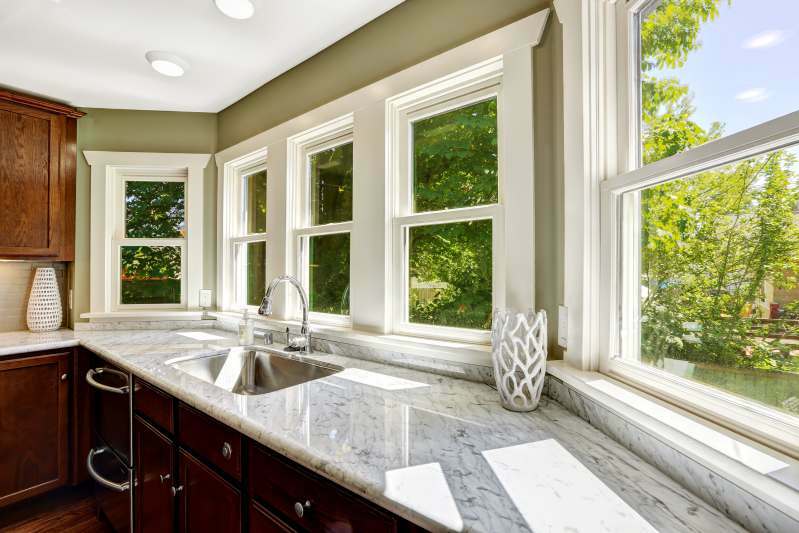 While all stone worktops are heat, water and stain resistant, granite is one of the toughest substances on earth. In the natural world, granite is often the last stone to be weathered away, withstanding storms and snow for thousands of years after other stones have crumbled. The delicate part of any stone kitchen worktop isn’t the stone – it’s the finish. A highly polished mirror finish will show even the slightest scuff, smear or scratch. Choose a more natural finish and your granite or marble kitchen worktop can look brand new for decades. Marble has been used in the grandest homes for thousands of years. Temples, statues and palaces are made of beautiful marble and it’s unlikely to ever go out of fashion. Marble kitchen worktops are prized for their beautiful and unique veining. The patterns are produced by natural forces, and no two slabs are identical. Look for subtle colour changes, and even the odd fossil! Quartz kitchen worktops are made of small particles of stone held together with a special bonding agent. By adding dye to the bonding agent, manufacturers like Samsung and Compaq have created an astonishing range of colours. You can now have a stone worktop in pillar box red, milk white or any shade between. Professional kitchens usually use stainless steel, in order to meet health and safety regulations cheaply, but stone is an ideal work surface for chefs. It’s naturally cool, which makes handling pastry, bread dough and other foods easier. Sealed stone worktops are food safe and non-porous, so you can work directly on the counter without fear of staining. There are no cracks or dents for germs to hide in, and it’s easy to keep clean. Many chefs keep a marble slab on hand for doing pastry and chocolate work, but you can let the kids join in and have plenty of elbow room with a marble kitchen worktop!